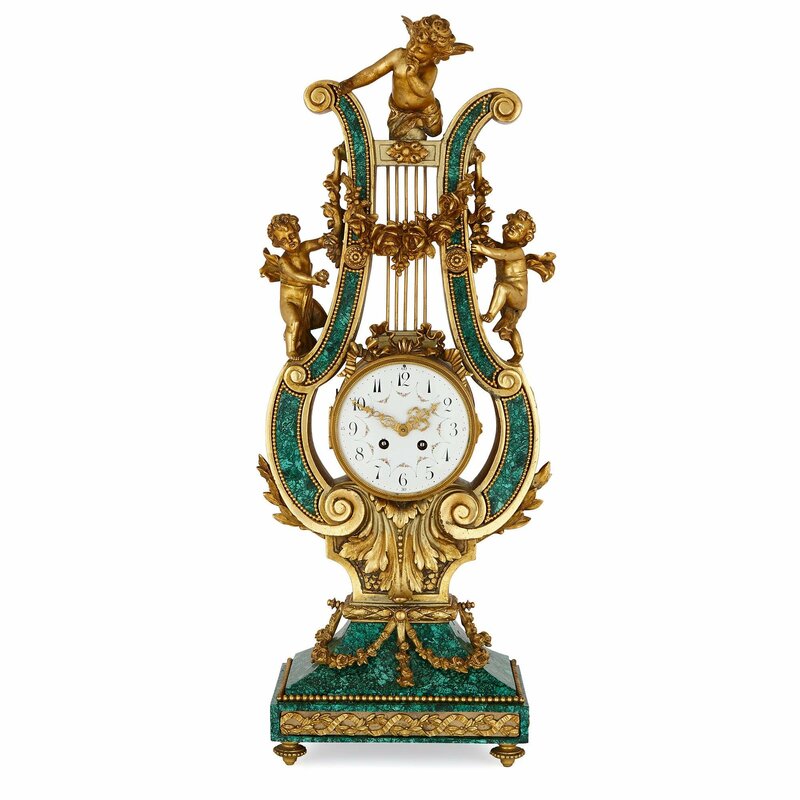 Crafted in France in the early 20th Century, this elegant ormolu and malachite mantel clock takes the form of a lyre, and is decorated with winged cherubs. 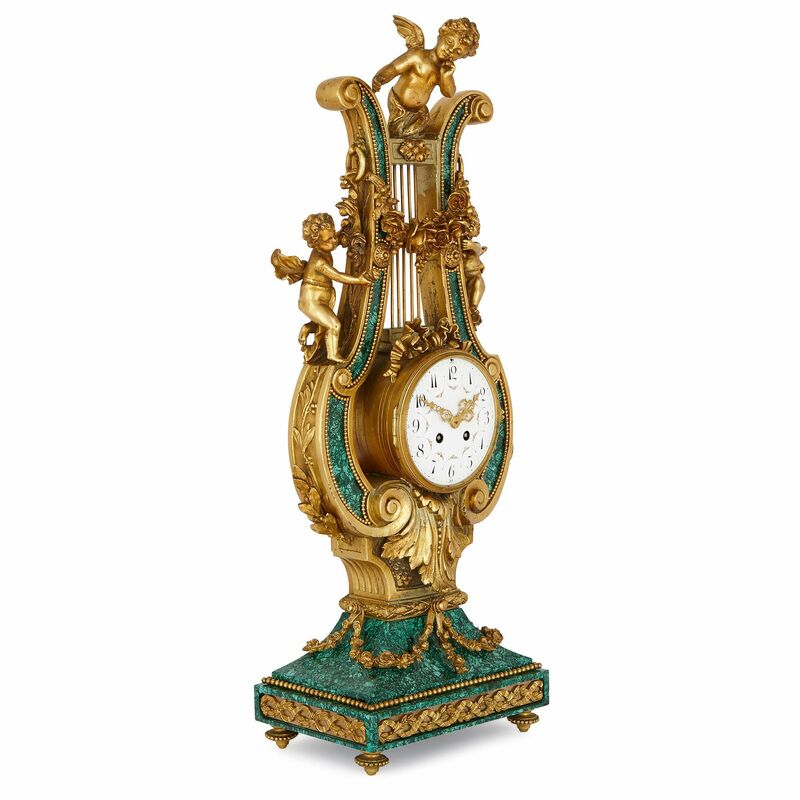 This fine and large mantel clock is formed with a rectangular base, supporting a lyre-shaped body, which is decorated with winged cherub figures, and which frames a central enamel dial. The piece dates to the early 20th Century, with the malachite veneer being a later addition. The circular central dial is painted with floral swags, and the face is surmounted by a crinkled ribbon bow, cast in ormolu. 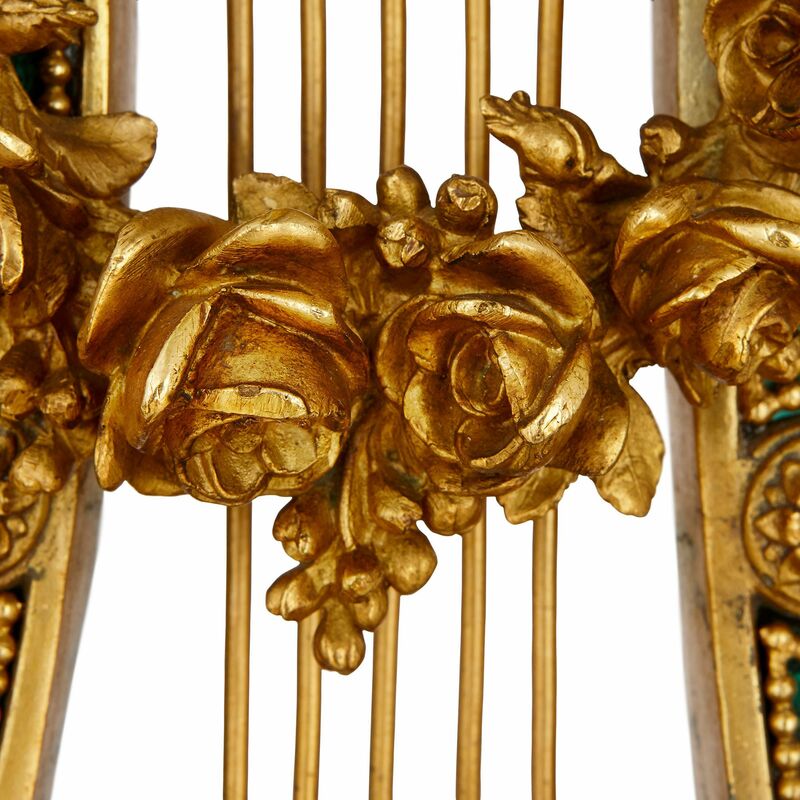 Bracketing the clock face are the two scrolling sides of the lyre, which are veneered in malachite, and set within an ormolu frame. The malachite center is edged with gilded beading, and the sides are decorated with laurel leaves. 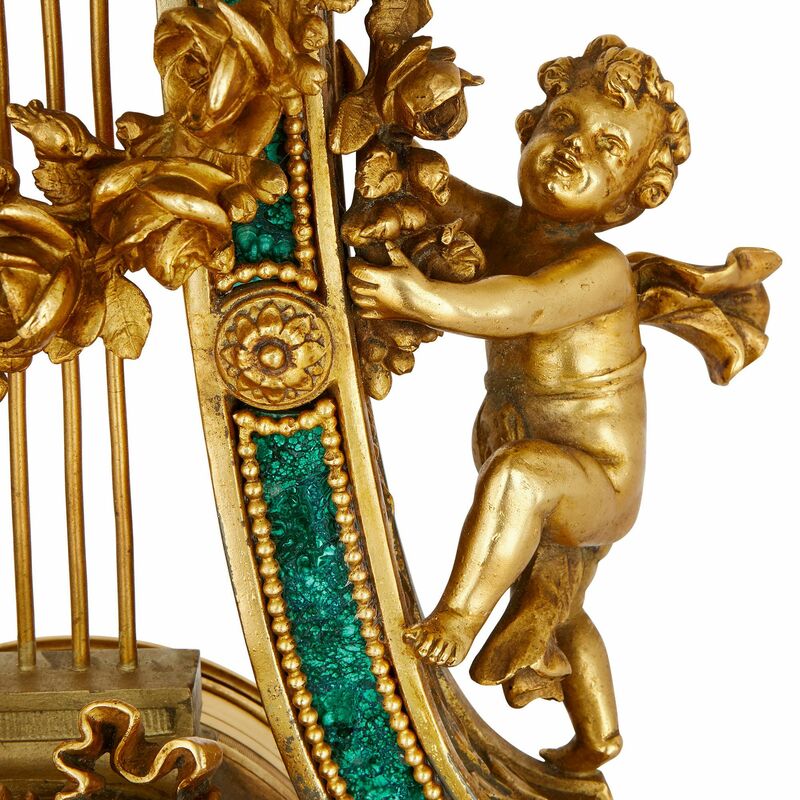 The strings of the lyre extend up from the enamel clock face, leading up to a point upon which a winged cherub kneels. 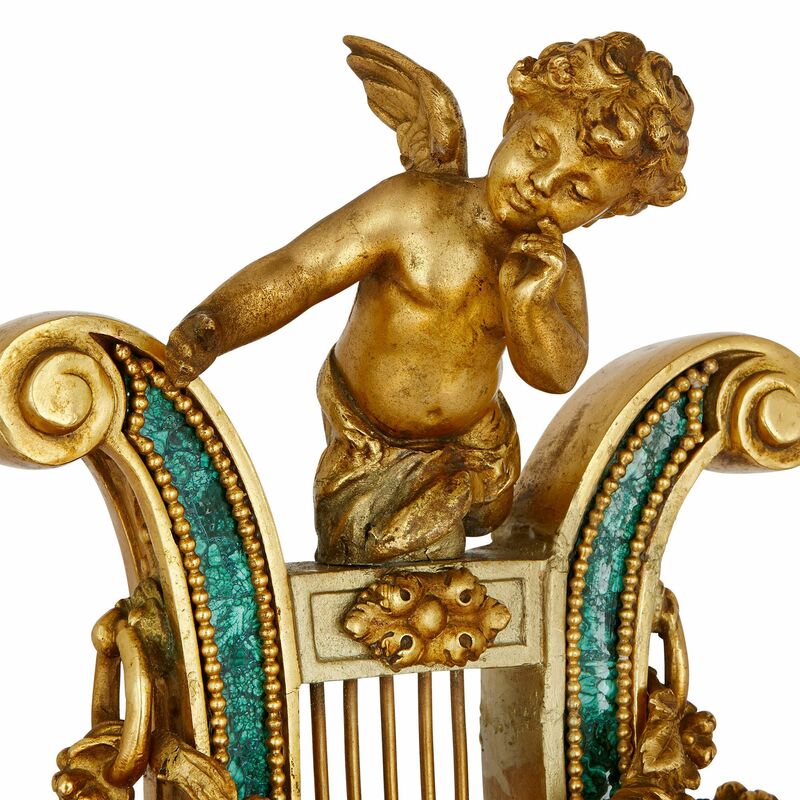 Two more winged putti stand on the shoulders of the clock and pull at the ends of a flower garland, which hangs before the lyre strings. 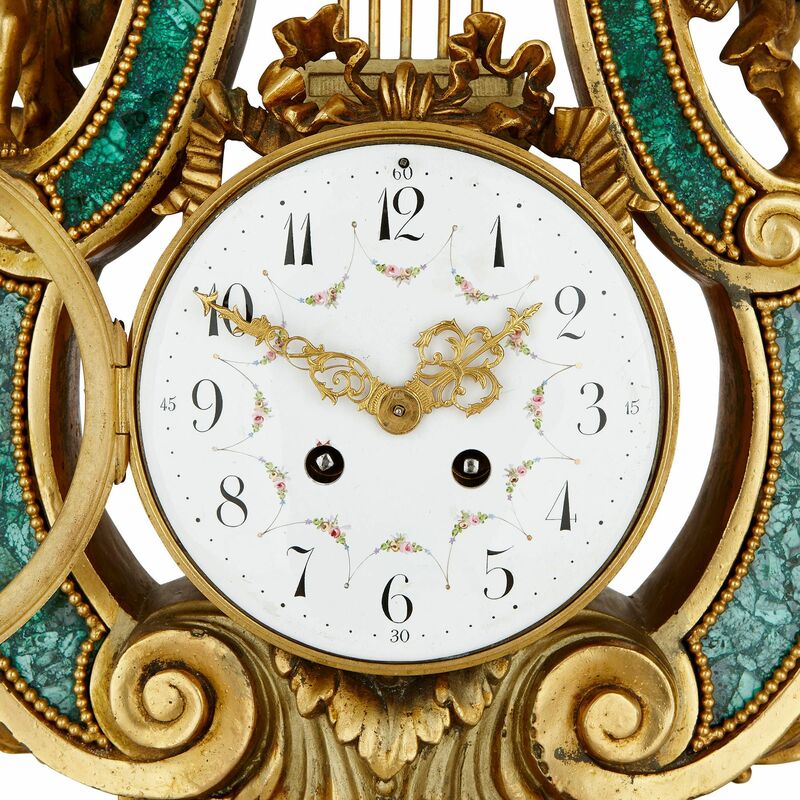 An ormolu mount, which takes the form of a classical acanthus leaf, frames the clock face from below. Beneath this sits the rectangular malachite-veneered base, which is ornamented with ormolu foliage swags, beading and a band of twisting leafy vines. The base is set on four ormolu toupie feet. 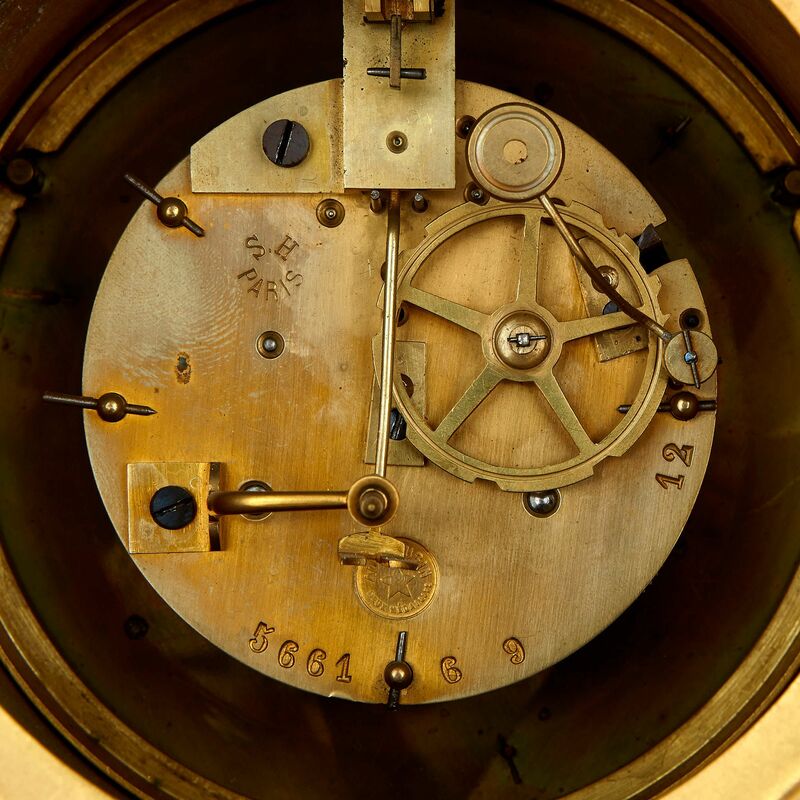 The back of the dial is signed with the name of the retailer, 'S H Paris'.